This massive Santa lives 21,000 years in the future on a far-away, desert planet. He does not bring presents. He produces a spice which allows space travel, and creates psychic abilities when ingested by humans. But you can ride on him, sort of like the "one-horse open sleigh." On Monday, we start the Twelve Days of Christmas countdown! It will be BOT related. You may already know what I'm planning. This Saturday, I'll be signing books at The Purple Cow bookstore in Tooele at 2:00. I will be accompanied by an actual human Santa (non-dentist, I think.) Hope to see you Tooeleians there! Oh my goodness. SO TERRIFYING. Just walk arhythmically around him, right? If you walk without rhythm, you won't attract the worm. 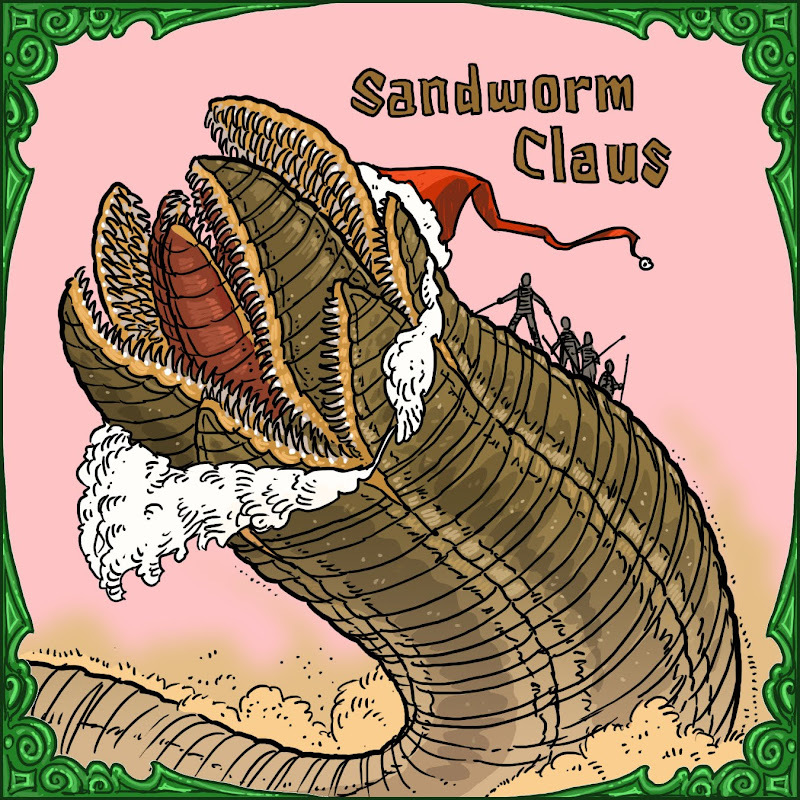 But wait--if you do that, that means no presents (of spice) from Sandworm Claus! I revise my opinion. Military marches only. Shouldn't the Fremen be using giant candy canes to ride him? I love these santas... Thank you! Atriedes would be proud. 'Nuff said. I am already missing the failed Santa Posts. Dune! I need to read that again. Very clever. My mum's favorite! I was totally like, "No. Way. He SO did not just....." And mum's all like, "Yes! That is great!" Yay! I can finally comment again! Family and I've been loving your stories! They're been funny, great, grand and totally worth running home from school! Haha, thanks for bringing joy to our house and home for the past two years now!